It's safe to say we're all pretty obsession with Gucci at the moment. 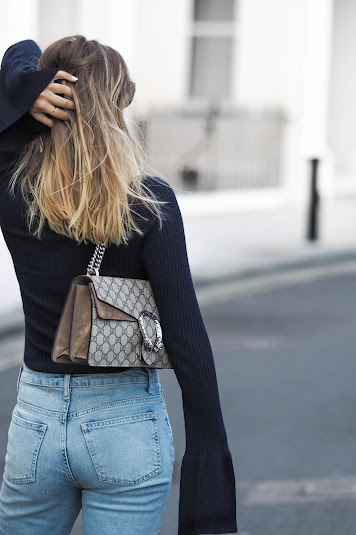 First we went crazy over the Princetown leather loafer, next came the Dionysus GG supreme shoulder bag and now we're all about the appliqué jeans. As much as I do love a designer purchase, I can't really justify spending an entire wage on an item of clothing. Shoes and bags in my eyes are much more wearable and therefore cost effective in comparison to say, a pair of jeans. 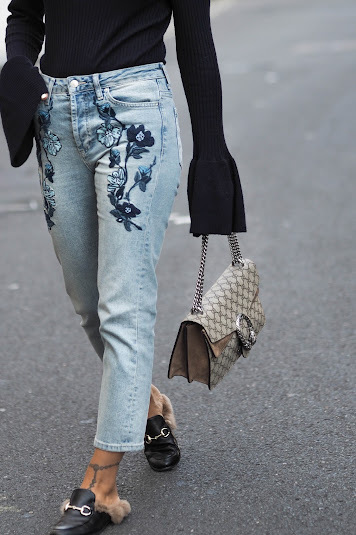 So, with you all in mind I've picked my two favourite pairs of embroidered "Gucci inspired" jeans from the high street (and under £50!) and shown you two different ways to wear! I'd consider my first look to be more eccentric in comparison to my second. Considering we're wearing an extreme bell sleeve top (very much inspired by the row.) And a pair of fluffy loafers (that get me ALL sort of looks as soon as I step out my door.) None the less, the more fashionable of the two. This look is super easy. Cropped jeans, a relaxed white tee and a pair of white leather trainers-the perfect weekend ensemble if you ask me. 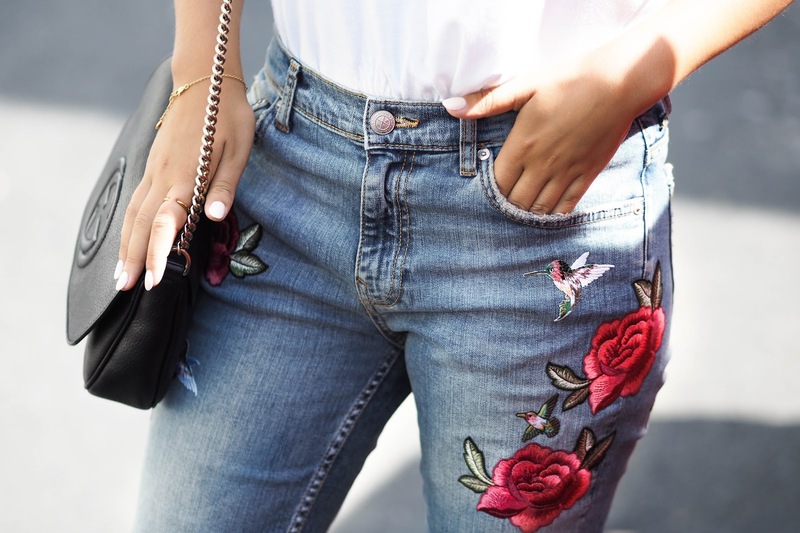 If you're worried about walking around in floral and forna embroidered jeans-they're not for the faint hearted.. I'd recommend pairing your denim with basic items, or wardrobe staples as I like to call them. 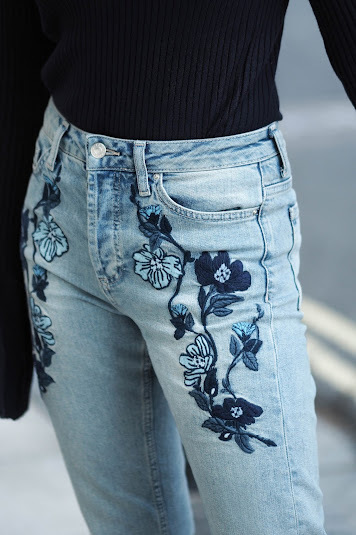 I love these embroidery jeans! This is totally going to my wish-list! 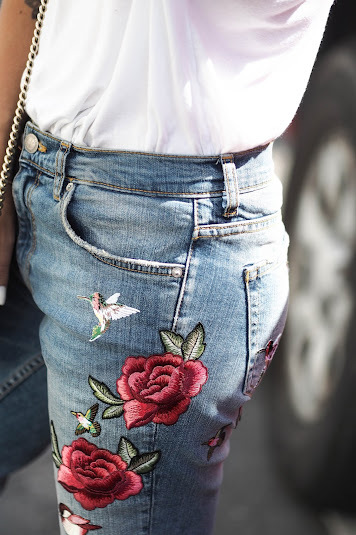 And I love how these rose tattoo matches rose embroidery jeans. Great outfit! I am looking forward to seeing more of your posts! Thanks!